Teen students spent 5 weeks in Urbano’s studio with mixed-media sculptors Charles Goss and Jeff Hull exploring artistic media from drawing to sound recording, and everything in between. Mapping The Senses sought to explore the five senses (sight, touch, taste, smell, and hearing) through a variety of artistic media, focusing on close observation, development of artistic process, and exploration of personal iconography and autobiography in the studio. Students recorded their ideas and experiences (both in class and outside the studio) through personal journals, drawings, mixed-media sculptures, and large group projects. Mapping The Senses culminated in a public exhibition of student work in Urbano’s gallery, designed and curated by participating students. 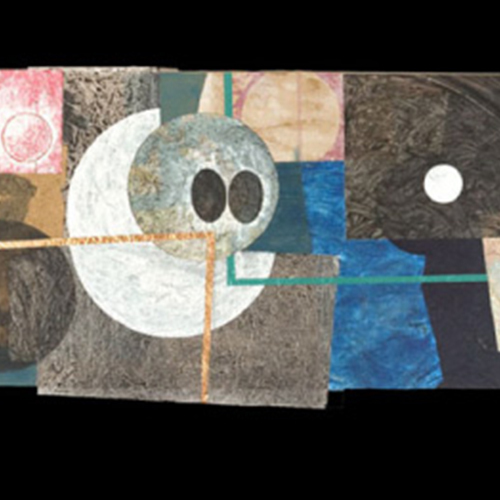 Working in drawing and painting, sculpture, photography, and installation, Charles Goss creates works with re-formed materials from everyday life..
An artist since forever, teacher for 25 years, Jeff Hull is a painter, sculptor, and printmaker.